There is a distinct feeling of motion to this piece in person, the sparkling salt stars coming in from above and below, the inky black sweeping on on the sides, all converging in the center of the page. I kind of wanted to add a TARDIS to the picture, but I couldn’t figure out the right place to put it that wouldn’t ruin the sense of forces converging in the vastness of space. You can just imagine it’s floating there in the center with its shields up, the invisible force drawing everything inward. The salt-crystal “stars” are a bit lost to my scanner, but you can see them much better below, along with a slightly better sense of the colors, though the rich, deep royal purple is just not coming through on my monitor, alas. 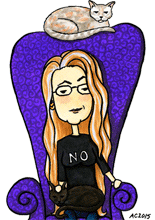 This is definitely a piece that’s better in real life. 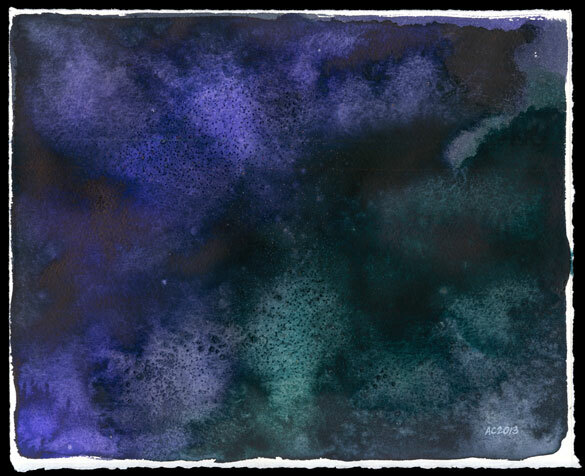 Convergence, 10″x8″ Japanese watercolor and salt on Arches cover white paper. 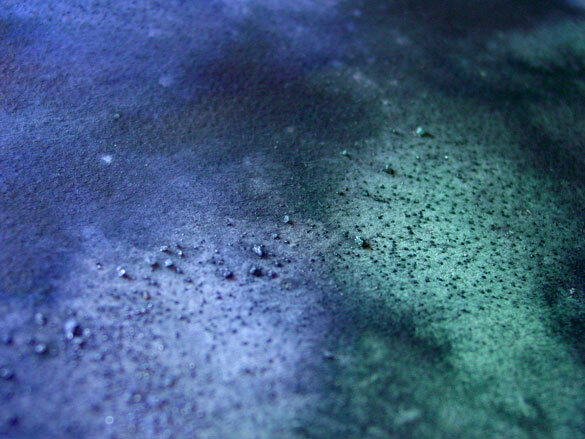 Above, you can see the texture of salt crystals studded over the paper, and the swirling nebulae of color they swim in. 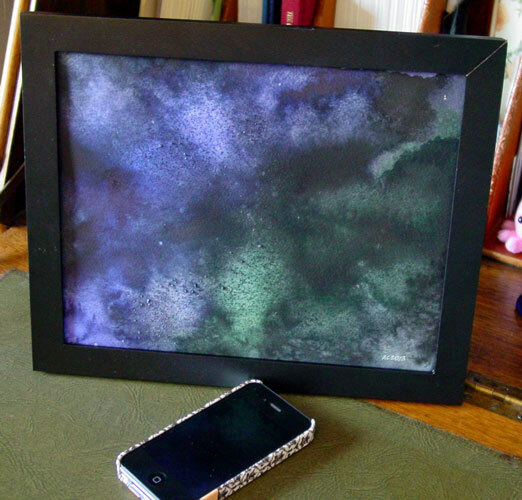 Below, the piece is in a frame, hanging out with my iPhone and looking awesome.